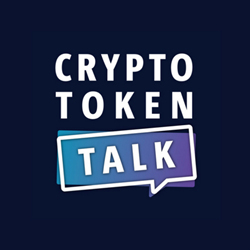 Crypto Token Talk, a podcast focused on innovations in blockchain and cryptocurrency, announces media partnership with STS, a top-tier Digital Securities event of 2019 in Los Angeles. We are excited to learn and discuss prominent trends and themes in the digital securities space with incredibly talented figures featured at Security Token Summit. Crypto Token Talk (CTT) announces a media partnership with Security Token Summit (STS) to speak with the event’s powerful lineup of speakers and sponsors. Hosted by Kelley Weaver, CEO of Melrose PR, Crypto Token Talk is an educational on-ramp to cryptocurrency and blockchain innovations through interviews and conversations with leaders in the space. Brought by the Goren Helm Group, Security Token Summit is a digital securities event taking place on April 8th at The Ritz-Carlton-Los Angeles. The intimate event includes high net-worth industry leaders of top investment firms, investors, funds, service providers and more speaking to a large span of topics and trends ranging from compliance, regulation, and investing, to marketing and real estate. With a packed-full agenda, the one-day summit will include presentations, fireside chats, and panels featuring discussions among STO thought leaders.